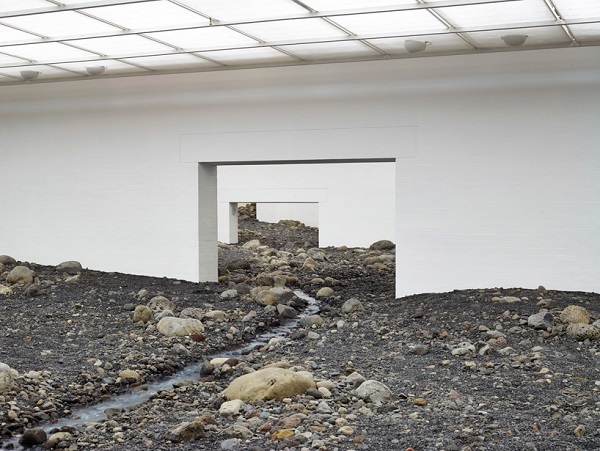 Danish-Icelandic artist and designer Olafur Eliasson has created a riverbed in Denmark’s Louisiana Museum of Modern Art entitled ‘Riverbed’. 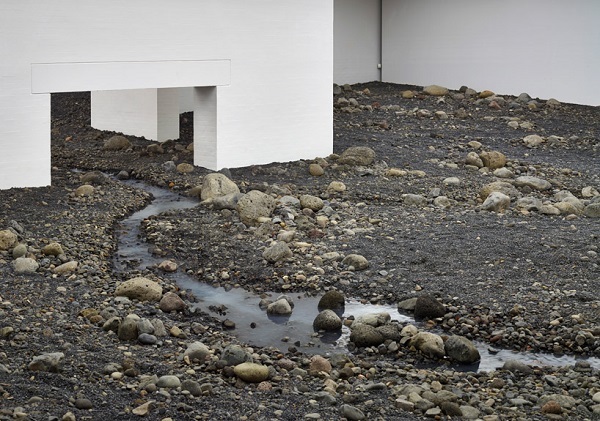 The whole floor of the South Wing of the museum was layered with rocks, creating a terrain for a stream of water to wind through. 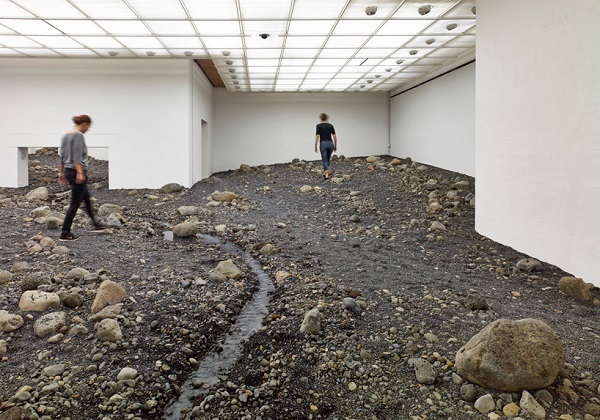 Visitors to the gallery are transported back outside, to experience walking on top of loose terrain, along a river.